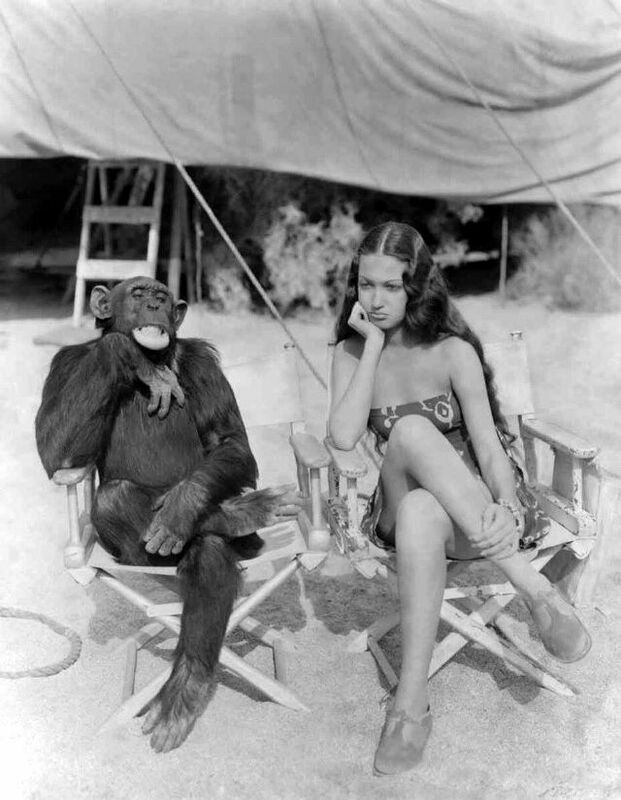 Dorothy Lamour spends her downtime on set hanging out with an animal friend! 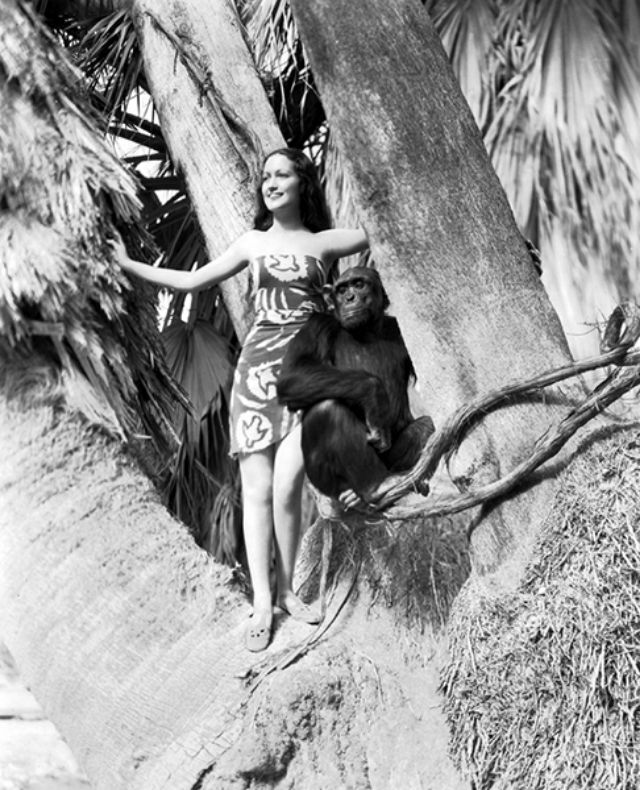 These behind the scenes photos were taken sometime in 1937 on location in Palms Springs for the adventure film, Her Jungle Love. 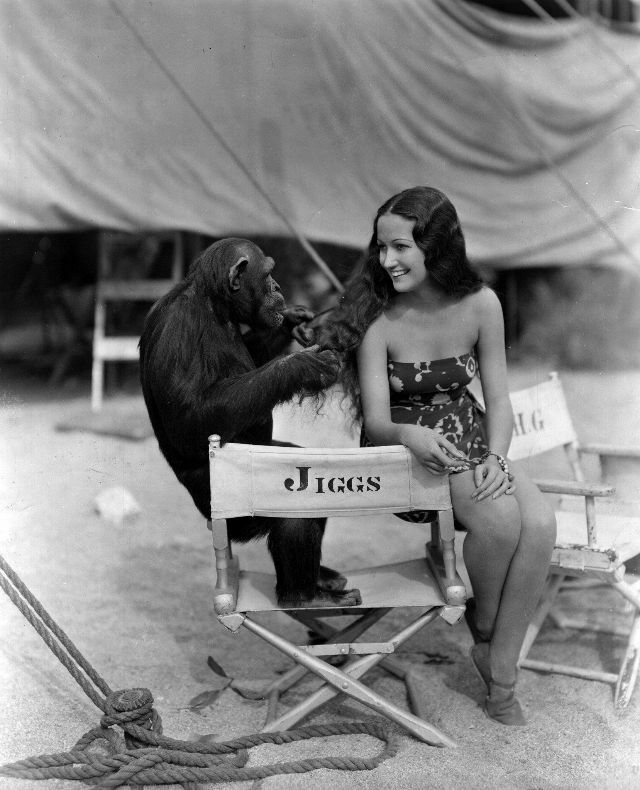 The movie was directed by George Archainbaud, and is about two men (Ray Milland and Lynne Overman) looking for a lost aviator and meets a jungle girl named Tura (Dorothy Lamour) when they got stuck in an island during a storm. 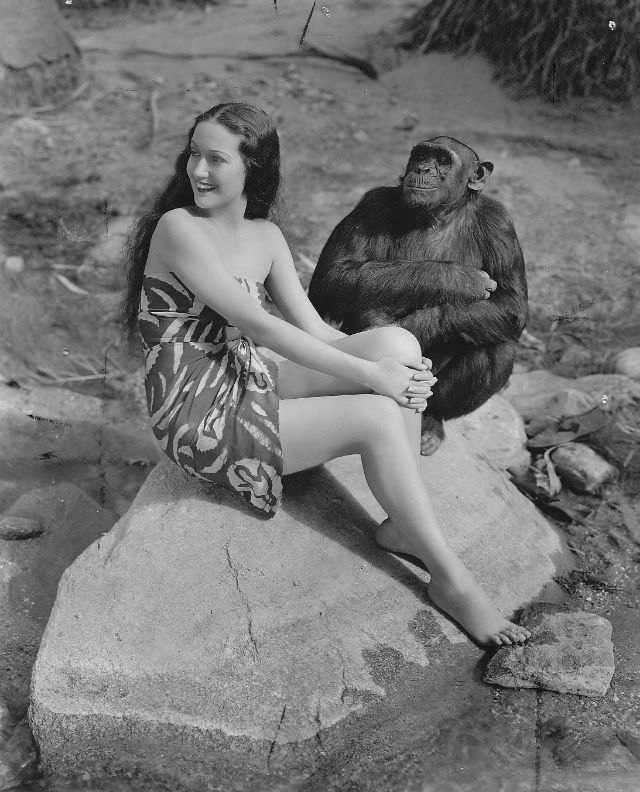 “I'll never get into another picture with an animal, so help me!” – Dorothy Lamour. 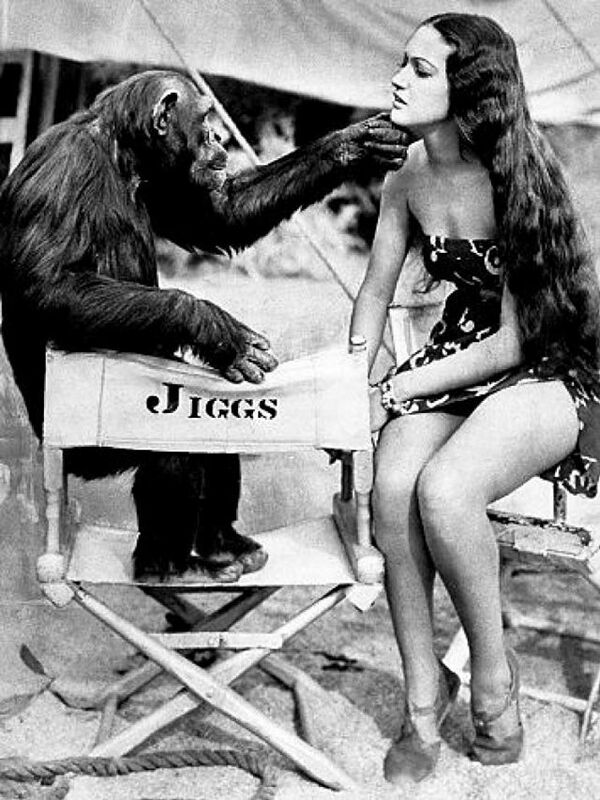 Neither did Jiggs the chimpanzee, pictured here with Lamour on the set of Her Jungle Love. 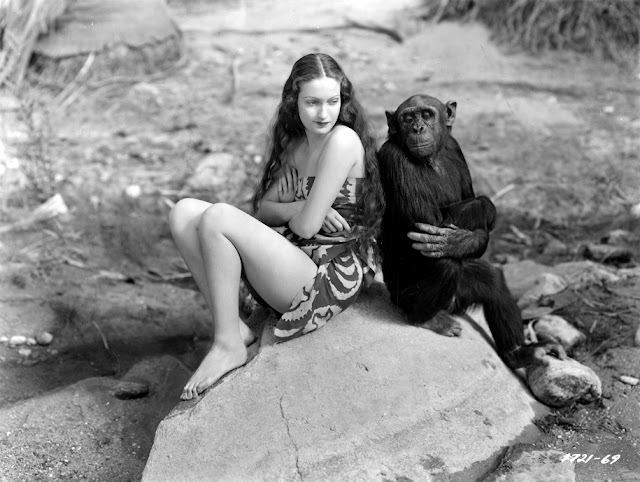 No animal has ever been nominated for an Oscar. According to Academy Award rules, only actors and actresses are eligible.